So, what does issue 61 have in store? Well, if you’re not easily impressed, we are certain Steve Casino’s peanut art will amaze you!!! 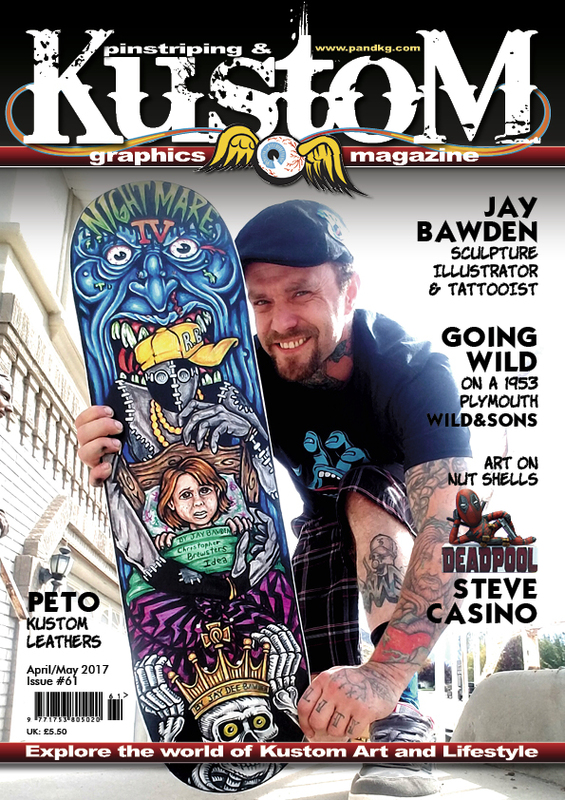 Our cover artist, this issue is equally talented; Jay Dee Bawden, is a sculpture and lowbrow artist, his kustom decks totally rock! In our sign writing corner, Wayne Tanswell chats to Dave Peacock about his artistic talents. We have all the usual tips & tricks for you budding artists, as well as a couple of impressive step by steps.